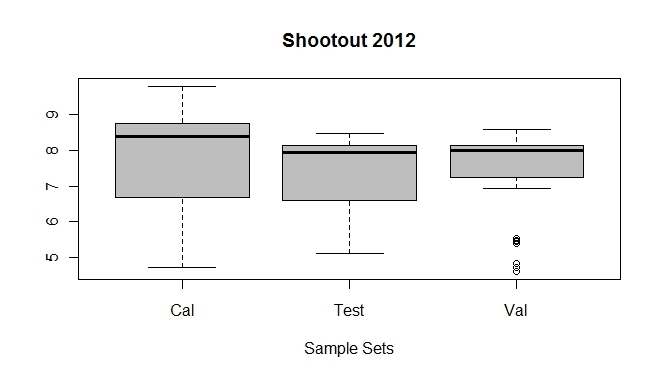 Boxplots are a nice way to compare the three sample sets of the Shoot-out 2012 data files. There is a category variable (Set) in the data frame with the labels (Cal = Training Set, Test = Test Set and Val = Validation Set). Previous posts in this blog about the Shoot-out 2012 data.